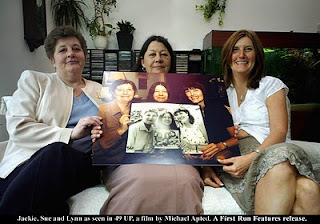 The "7" UP documentary series is considered the most influential documentary of all time. 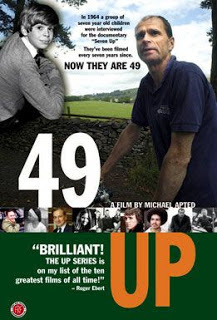 It is currently airing on SBS Television in Australia as "56 UP". 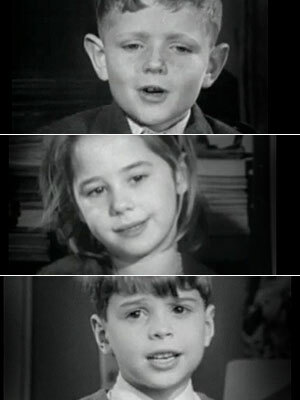 It portrays the lives of several English people by showing them from age 7 and visiting them every 7 years to see how their lives have panned out. Some of the stories are heart-warming. Some of their stories are heart-breaking. It's almost surreal to watch the lives of people age from 7 to 56 in just 30 minutes! It puts the brevity of every human life into a very confronting reality. This is made all the more real as each of the subjects featured in the documentary series discusses their individual regrets. Several of them had big "If only I had..." regrets. It made me wonder how many of us live without a sense that our lives are fleetingly short? Some people waste their lives. They exist more than they live. They spend their lives rather than invest their lives. When they suffer a setback, they don't getback they seek payback. This bitterness they harbour robs them of valuable years that could have been fruitful and productive. As a pastor who has been by the bedside of dying people, I have too often heard the pain of regret and the realisation from those whose lives were nearly over that bitterness and unforgiveness has calously lied to and stolen from them. Life is short. Your life will be over sooner than you realise. At the end of your life you will either leave a legacy or you will just leave. For some, their lives will have made the world a better place because they lived with purpose, direction, reverence and thankfulness to God. Some precious souls have lived lives which by general standards have been too short - yet they have contributed more to the world in their brief lifetimes than most because they invested their time rather than spent it. They refused to allow petty unforgiveness and bitterness rob them of their rightful peace. They lived out their dream by walking a strait and narrow path rather than wandering and meandering to no where in particular. It's not just the lives of those in the "7 UP" series that are passing quickly before the world's gaze - all of us are! ¶ A voice says, "Cry!" Leadership guru, John Maxwell, says that he can tell where a person is going by spending just one day with them. He says that how a person spends their day is the best indicator for where their life is going. Please don't waste your days. Please don't neglect what is truly important (devotion to God through prayer, Scripture, church, worship, family). Please don't allow pettiness, unforgiveness, or bitterness to steal your destiny. Some people live their lives to make a name for themselves. They don't care who they hurt or abuse to get there. These people live highly regrettable lives. Others live for "simpler" purposes. The UP documentary series has powerfully reminded me of how easy it is though to have the dreams of our childhood and youth evaporate. But these simple childlike dreams of living lives of meaning, happiness, love and purpose are not gradiose and they are certainly not unattainable. But they are only attainable if we apply Matthew 6:33 and live for God's glory. At Legana we have a dream to help make life better for people by helping them to invest their lives in what really counts. But this dream is too big for me to handle or even deliver. I need your help. Please dream with me. Please invest with me. And hopefully in 7 years we can look back and say it was totally worth it! Here’s the climactic call to endure in this revelation. Having shown his fellow believers that Christ would keep them through all they were enduring and about to endure, John sees the curtain of time drawn back and reports to his readers the sublimely glorious future awaiting them if they endure to the end. Today, we generally don't have to endure the direct persecution that these first Christians did. But the need to endure in the midst of a plethora of digital distractions, in an age when pleasures are plentiful, at a time when ridiculing fools have hijacked academia, and when pantheists who masquerade as environmentalists furiously deconstruct Christianity from the public square through their politicking - the need for believers to endure is just as critical as ever! Consider what is awaiting us. No more death. No more more pain. For those who love God this part of the revelation is altogether wonder-filled. For those who despise God this reinforcing of the consistent message of Revelation is vile, offensive, and despicable (Rev. 20:8). This just goes to show that the Word of God is delightful to those who love the God of the Word. The Apostle Paul described in terms of fragrances. For those who welcomed Christ’s lordship over them it was as if they enjoyed a sweet beautiful aroma in doing so. But for those who despised Christ and rejected His right to direct their lives it was as if they wallowed in a stench - a stench of death. Let us be a fragrance of life and delight. Consider what is awaiting us. It’s delights are hinted at throughout the redemption story of the Bible. Hints. You have to become increasingly familiar with the Bible to begin to learn its language. After decades of studying it I am yet to get near plumbing its depths. But this I have discovered: The glory that awaits us is not bound up in heaven but the One who is enthroned there. Union with Him is the goal of salvation. Peace with Him is the source of all peace. He is our awaiting glory. He is the One who radiates the light of heaven. Miss Him and you actually miss the very message of the Bible. He will make all things new, but it can start now. Have you been made new? [Rev. 20:1] ¶ Then I saw an angel descending from heaven, holding in his hand the key to the abyss and a huge chain. [Rev. 20:2] He seized the dragon—the ancient serpent, who is the devil and Satan—and tied him up for a thousand years. [Rev. 20:3] The angel then threw him into the abyss and locked and sealed it so that he could not deceive the nations until the one thousand years were finished. (After these things he must be released for a brief period of time.) [Rev. 20:4] ¶ Then I saw thrones and seated on them were those who had been given authority to judge. I also saw the souls of those who had been beheaded because of the testimony about Jesus and because of the word of God. These had not worshiped the beast or his image and had refused to receive his mark on their forehead or hand. They came to life and reigned with Christ for a thousand years. [Rev. 20:5] (The rest of the dead did not come to life until the thousand years were finished.) This is the first resurrection. [Rev. 20:6] Blessed and holy is the one who takes part in the first resurrection. The second death has no power over them, but they will be priests of God and of Christ, and they will reign with him for a thousand years. [Rev. 20:7] ¶ Now when the thousand years are finished, Satan will be released from his prison [Rev. 20:8] and will go out to deceive the nations at the four corners of the earth, Gog and Magog, to bring them together for the battle. They are as numerous as the grains of sand in the sea. [Rev. 20:9] They went up on the broad plain of the earth and encircled the camp of the saints and the beloved city, but fire came down from heaven and devoured them completely. [Rev. 20:10] And the devil who deceived them was thrown into the lake of fire and sulfur, where the beast and the false prophet are too, and they will be tormented there day and night forever and ever. Questions always abound when things seem to go wrong. People were being martyred, none the least were the great apostles- Peter (who was recently crucified upside down) and Paul (who was beheaded). It seemed like Satan was triumphing. How much worse could it get? With all of this happening in the background, John sees thrones. Christians were suffering because of things being decreed from temporal thrones. But these were not temporal thrones revealed to John. He was seeing the Church seated as Paul had described in Ephesians 2:6. Rather than the Church being the victims of Satanic plots the Church will be victors over Satanic schemes! The Church would triumph - not in the temporal-political sense but in the spiritual sense. It would more than endure - it would grow. It would bring the spiritually dead as described in Ephesians 2:4 to life as described in Ephesians 2:5 a resurrection referred to by Christ in John 3:3 as being "born again'. Have you been experienced the blessing of this “first resurrection”? Not until Christ’s purposes for the Church on earth is nearly completed will Satan be allowed to wreak such havoc again. But this would not be for a “thousand” years. A thousand is often used in Scripture to signify ‘not meant to be counted’. In this Revelation passage it indicates how long Christ will reign - “forever” (Revelation 1:6; 11:15). Today, believers are members of the same triumphant Church which John saw reaching every tribe, nation and tongue (Revelation 7:9). This triumph is not temporal-political but spiritual where the dead souls are made alive through the power of the Spirit as the Word is proclaimed. Let us join the triumphant by proclaiming the Lordship of Christ in word and deed, at home and wherever the Lamb may choose to send us. [Rev. 19:10] So I threw myself down at his feet to worship him, but he said, “Do not do this! I am only a fellow servant with you and your brothers who hold to the testimony about Jesus. Worship God, for the testimony about Jesus is the spirit of prophecy.” [Rev. 19:11] ¶ Then I saw heaven opened and here came a white horse! The one riding it was called “Faithful” and “True,” and with justice he judges and goes to war. [Rev. 19:12] His eyes are like a fiery flame and there are many diadem crowns on his head. He has a name written that no one knows except himself. [Rev. 19:13] He is dressed in clothing dipped in blood, and he is called the Word of God. [Rev. 19:14] The armies that are in heaven, dressed in white, clean, fine linen, were following him on white horses. [Rev. 19:15] From his mouth extends a sharp sword, so that with it he can strike the nations. He will rule them with an iron rod, and he stomps the winepress of the furious wrath of God, the All-powerful. [Rev. 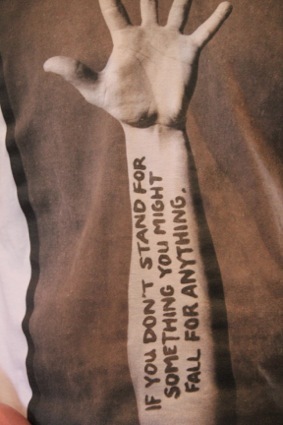 19:16] He has a name written on his clothing and on his thigh: “King of kings and Lord of lords.” [Rev. 19:17] ¶ Then I saw one angel standing in the sun, and he shouted in a loud voice to all the birds flying high in the sky: “Come, gather around for the great banquet of God, [Rev. 19:18] to eat your fill of the flesh of kings, the flesh of generals, the flesh of powerful people, the flesh of horses and those who ride them, and the flesh of all people, both free and slave, and small and great!” [Rev. 19:19] ¶ Then I saw the beast and the kings of the earth and their armies assembled to do battle with the one who rode the horse and with his army. [Rev. 19:20] Now the beast was seized, and along with him the false prophet who had performed the signs on his behalf–signs by which he deceived those who had received the mark of the beast and those who worshiped his image. Both of them were thrown alive into the lake of fire burning with sulfur. [Rev. 19:21] The others were killed by the sword that extended from the mouth of the one who rode the horse, and all the birds gorged themselves with their flesh. In the famous painting depicting Christ from Revelation 3:20 (“Behold I stand at the door and knock…”), called “The Light of the World”, William Holman Hunt shows Jesus knocking at a door in an overgrown orchard at night. Christ is holding a lit lantern. But this glowing lantern seems unnecessary because of the brilliant moonlight which enables the viewer to clearly make out the scene. F.W. Boreham was in London in 1924 and visited Mr Hunt’s famous painting at St. Paul’s Cathedral. He understood that the artist meant to show that there was no door-handle on the outside of the door. He understood that the overgrown vegetation over the door meant to show that the inhabitants rarely ventured outside. But the lantern? There was no need for it. Yet Boreham knew that Mr Hunt wasted nothing in his allegorical art. He remarked to his wife that this was a mystery to him. A kindly older gentlemen standing just behind Dr. Boreham interrupted with an apology for eaves-dropping. He excused himself by pointing out that he was no further away than Mr Boreham’s elbow when he expressed this mystery. “I knew Mr Hunt well” he said. “If you would permit me, I can enlighten you with what Mr Hunt himself told me about the lantern.” F.W. Boreham welcomed the offer. The artist’s friend explained that Mr Hunt wanted to convey that Christ was knocking on the door of a lukewarm church. Because there is no handle on the outside, the occupants must open up to Christ and invite Him in. But this church is located on the edge of the orchard adjacent to the wild woods. While Christ wanted entry to the church, it wasn’t to be for too long because He really wanted to lead the occupants out of their dwelling and to journey with Him into the darkness of the wild woods - hence His lantern was lit and trimmed. The church becomes lukewarm when it ceases to venture out into the darkness with the light of Christ. Christ is still knocking and He still bears a lit lantern to guide His Church into the darkness to rescue a lost world. Let us open up to Christ and enjoy our times with Him but recognise that He bids us to not just “go” but to “go with Him”. Recently a major denomination in the USA held their national conference to discuss their position on whether to ordain as ministers those who were openly practising sexual immorality. By a vote of 52% the Conference rejected the motion*. But even more disturbing were some of reasons given for even having the vote in the first place. Speaker after speaker spoke of being torn and uncertain of what to do. Some speakers prayerfully appealed to God for wisdom in this 'time of crisis'. Bewilderingly, none of the speakers to the motion made reference to the Bible. If they had, there would have been no confusion. There would have been no 'crisis' or 'turmoil' or 'uncertainty'. God's Word is remarkably clear in dealing with this matter. Yet, somehow, people at this Conference thought that the opinions of others who disagreed with the Bible was equally authoritative as the Bible. I guess that many of these people had been devilishly lulled into the lie that the Bible's clear statements on morality were "out-dated" "unenlightened" "belonging to an uninformed by-gone era ignorant of the scientific facts". It's debatable as to what the Enemy's primary type of attack is - whether it is to undermine God's very existence in the minds of people, or (because this task is so darn impossible) to undermine God's Word. Certainly in the Garden of Eden he sought to undermine the Word of God - has God said? - still reverberates down through the ages. The Enemy knows better than most Christians (shamefully) the incredible power of the Word of God. The Scriptures are no mere collection of nice words. The Word of God gives life! The Word of God gives light! The Word of God gives nourishment to our soul! Whenever a church or a denomination falls prey to the Enemy's schemes to deviate from the Bible as its source of God's mind, it is poisoning itself. This is why we are not guided by corporate management techniques, consumer-sentiment surveys, or worldly strategic planning methods. It is also why individual believers are not to be shaped primarily by the opinions of would-be spiritual guides who speak of finding yourself or discovering your inner light. Their paperback books sell by the millions. Their TV shows regular feature major celebrities endorsing their devilish philosophies. Denominations, churches, individual believers - all stand or fall spiritually on whether they are guided by the Word of God or the opinions of men. ¶ But Jesus answered them, "You are wrong, because you know neither the Scriptures nor the power of God. One of the most influential theologians of the 20th century, Prof. Karl Barth, was asked near the end of his career what the greatest theological truth he had learned was. He said, "Jesus loves me. This I know. For the Bible tells me so." Utterly profound! Not because it was the conjured idea of a great theologian. Not because it's a nice sentiment. Profound because it answers the most profound "what" and the most profound "how" about truth. What is the truth? Jesus loves you. Don't gloss over that statement as if it was a cliche, a slogan, a motto, or just piece of jargon! It is the most profound truth ever revealed. But that's the point -it's revealed truth. How do we know that it's the truth? This is why Karl Barth's statement is phenomenally profound since it not only reveals the what of truth but the how we know it is the truth. It's not merely that we can experience the love of Jesus ("This I know. "), although verifiability is one of the important tests of truth, it's that we can be sure of this because - the Bible tells me so. Around 1517, a German Monk, Martin Luther had been reading the Bible (something not common among monks and priests of his day), and found that the Roman Catholic Church had departed dramatically from what the Bible taught. He posted 95 points of objection to what the church was teaching compared to Scripture. He was then ordered to apologise to the Pope for this. He refused to do so because he valued the Bible more than the opnions of men! And thus, the Protestant Reformation began. How many today can recognise when a teaching or practice by a church or Christian leader is not Biblical? How many today are even troubled by it? What we know is that God loves us through Jesus so much that He sent Him to die for us so that we could live forever beyond the grave in the perfect peace and ultimate joy in heaven. How we know this is because it is written by God Himself through the instruments of men in the Bible. Rest assured, the Enemy who hates God thinks that he can undermine the glory of God by attacking the authority of the Word of God. When you read your Bible it is not merely an exercise in literature transaction. Rather, it is a powerful means of God's grace that infuses your soul with refreshing spiritual strength that empowers you to withstand adversity, and cleanses your mind with revitalising inspiration. This is why at Legana we ground everything we believe in God's Word. It's why we draw our insight and wisdom for life's difficulties from the Bible, rather than the techniques of men - no matter how "spiritual" it sounds. If more denominations, churches, and individual believers understand the true "what" better, our purpose as a denomination, church or believer would be much clearer to us. But this can only happen if we delve into the "how" - the Word of God. What is the primary purpose of the Church? Some claim it is evangelism. Certainly this is important, but it is not primary. 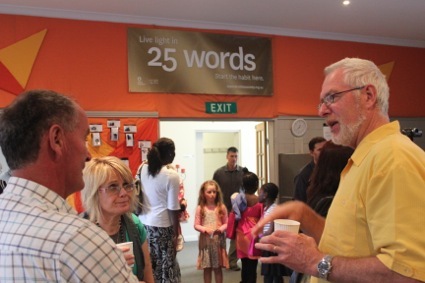 Consider how much time the New Testament takes to call the Church to evangelise. Compared with everything else it says, evangelism (as important as it it undoubtedly is) is not considered the primary purpose of the Church. In fact, it can easily be shown that evangelism is actually the result not the cause of the Church fulfilling it’s primary mission. The Church’s primary purpose is gloriously revealed in this passage and it is a timely reminder for us today who live a world too busy and too demanding to return to: worship God. Worship is not limited to, or merely the act of, singing a song in church. Worship is the expression of sincere surrender to God and acknowledgment of His supremacy in all things. Evangelism is a subset of worship because it calls people to surrender to God and thus turn from worshipping idols to worshipping the True. One day we will stand in the presence of God and feel utter worship around us as we join the throng who roar and thunder their sheer devotion to Lamb seated on the throne. But today we can join with all heaven and be part of the privilege of worshiping God right where we are. The age old question, “Where is God when it hurts?” is answered here. In the midst of all the evil and suffering that these first century believers were assaulted with, their inevitable sense of divine abandonment must have been palpable. We are no less subject to this as well. Things go bad for us. When assumed that since we had given our lives to God that He would - He must - assure that things go well for us! But then life happens. We are subject to such futile things as opposition, strained relationships, sickness, loss, tragedy (Romans 8:20). But God never lets such futility go too far or for too long. Such things are designed to prepare His children for their glorious eternal destinies and through their persevering faith in God in the midst of these trials they are to reveal to the world the glory of God. The rejoicing charged here is not over the demise of their persecutors but over their vindication for declaring with their lives and testimonies that Jesus Christ was Lord. The instrument of demons had paraded as the holy instrument of God and saw their war against Christ’s apostles and prophets as doing God’s will, but God Himself would have the last word! Let God have the last word in your life. Remember, many of the first century apostles and prophets laid down their lives in their attempts to reach out to the persecutors. They were honoring their Lord’s injunction to do so. So should we today. If we took this more seriously, we might find that increasingly our message about culturally sensitive matters may well be increasingly vindicated as well. What is the worst sin? Outright rejection of God? Apparently not. Apparently it is unfaithfulness - that is, when those who have entered into a covenant with God are unfaithful to God by worshiping idols. When Covenant-People pretend to be faithful while committing idolatry, they were charged with “prostitution” (Isaiah 1:21; Jer. 2:20). Because marriage is a divine picture of being in covenant with God, marital unfaithfulness is considered the worst sexual sin. If you are married, treasure your spouse and do not take them for granted. John reveals that this character was committing (spiritual) prostitution with surrounding nations and in particular the nation that ruled the world whose kings were ruling them. And while the Great Prostitute had been waging a war against the Lamb and His servants, this foreign king would soon join in fighting against the Lamb and His Church. He would be the sixth in a line of kings. He would only carry out his war for 42 months which is half of 7 years. Perhaps, there is a message here for John’s original audience. Seven speaks of complete. Three and half, whether stated in days or months, or even as “a time, times and half a time”, may well indicate incomplete. If so, then John is revealing that the persecution they were facing their political masters would not wipe them out - it would be incomplete. This is why Revelation 17:14 must have been far more than a quaint wall plaque for these mid-first century believers! While the beleaguered Church would have to endure a relatively short time of persecution and tribulation from two fronts, one religious and one political, John reveals that these enemies would suddenly become enemies of each other with the political persecutor brutally winning out. But the consoling revelation in this passage is that the Lamb will ultimately win out. It should still console Christ-followers today. Identifying The 8th King In Revelation from leganamedia on GodTube. [Rev. 15:1] ¶ Then I saw another great and astounding sign in heaven: seven angels who have seven final plagues (they are final because in them God’s anger is completed). [Rev. 15:2] ¶ Then I saw something like a sea of glass mixed with fire, and those who had conquered the beast and his image and the number of his name. They were standing by the sea of glass, holding harps given to them by God. [Rev. 15:3] They sang the song of Moses the servant of God and the song of the Lamb: “Great and astounding are your deeds, Lord God, the All-powerful! Just and true are your ways, King over the nations![Rev. 15:4] Who will not fear you, O Lord, and glorify your name, because you alone are holy? All nations will come and worship before you for your righteous acts have been revealed.” [Rev. 15:5] ¶ After these things I looked, and the temple (the tent of the testimony) was opened in heaven, [Rev. 15:6] and the seven angels who had the seven plagues came out of the temple, dressed in clean bright linen, wearing wide golden belts around their chests. [Rev. 15:7] Then one of the four living creatures gave the seven angels seven golden bowls filled with the wrath of God who lives forever and ever, [Rev. 15:8] and the temple was filled with smoke from God’s glory and from his power. Thus no one could enter the temple until the seven plagues from the seven angels were completed. Probably all of John’s original readers had a connection to a believer who died for their testimony of Christ. The tent of heaven is opened up before John and he sees these martyrs. They are not “lost”! They are utterly found! They enjoy a peace beyond comprehension (who can fathom how a sea could be as still as glass?) While they worship (which seems to an involuntary reflex response by those who enter God’s presence) seven plagues are about to be poured out. The first readers must have been vividly reminded of the last time seven plagues were poured out. It was Egypt. The Hebrews were oppressed. God's wrath against His people’s oppressors was being poured out to bring both vindication and redemption. John deliberately conjures this Biblical imagery to tell his readers something that soon happen. Those already in heaven are already rejoicing. They sing the song of Moses - the song of deliverance from oppression. Soon, these believers would also be rejoicing at their vindication. And the fact that we are discussing these matters at least two millennia later proves that they were. May we pray that their song will indeed be realized that “all nations will come and worship” God. And may their song be at least partly fulfilled by our willingness to regularly worship together. [Rev. 14:6] ¶ Then I saw another angel flying directly overhead, and he had an eternal gospel to proclaim to those who live on the earth—to every nation, tribe, language, and people. [Rev. 14:7] He declared in a loud voice: “Fear God and give him glory, because the hour of his judgment has arrived, and worship the one who made heaven and earth, the sea and the springs of water!” [Rev. 14:8] ¶ A second angel followed the first, declaring: “Fallen, fallen is Babylon the great city! She made all the nations drink of the wine of her immoral passion.” [Rev. 14:9] ¶ A third angel followed the first two, declaring in a loud voice: “If anyone worships the beast and his image, and takes the mark on his forehead or his hand, [Rev. 14:10] that person will also drink of the wine of God’s anger that has been mixed undiluted in the cup of his wrath, and he will be tortured with fire and sulfur in front of the holy angels and in front of the Lamb. [Rev. 14:11] And the smoke from their torture will go up forever and ever, and those who worship the beast and his image will have no rest day or night, along with anyone who receives the mark of his name.” [Rev. 14:12] This requires the steadfast endurance of the saints—those who obey God’s commandments and hold to their faith in Jesus.[Rev. 14:13] ¶ Then I heard a voice from heaven say, “Write this: ‘Blessed are the dead, those who die in the Lord from this moment on!’” ¶ “Yes,” says the Spirit, “so they can rest from their hard work, because their deeds will follow them.”[Rev. 14:14] ¶ Then I looked, and a white cloud appeared, and seated on the cloud was one like a son of man! He had a golden crown on his head and a sharp sickle in his hand. [Rev. 14:15] Then another angel came out of the temple, shouting in a loud voice to the one seated on the cloud, “Use your sickle and start to reap, because the time to reap has come, since the earth’s harvest is ripe!” [Rev. 14:16] So the one seated on the cloud swung his sickle over the earth, and the earth was reaped. [Rev. 14:17] ¶ Then another angel came out of the temple in heaven, and he too had a sharp sickle. [Rev. 14:18] Another angel, who was in charge of the fire, came from the altar and called in a loud voice to the angel who had the sharp sickle, “Use your sharp sickle and gather the clusters of grapes off the vine of the earth, because its grapes are now ripe.” [Rev. 14:19] So the angel swung his sickle over the earth and gathered the grapes from the vineyard of the earth and tossed them into the great winepress of the wrath of God. [Rev. 14:20] Then the winepress was stomped outside the city, and blood poured out of the winepress up to the height of horses’ bridles for a distance of almost two hundred miles. Sometimes things have to get worse so they can better. In the midst of the eternal Gospel being proclaimed, a city described metaphorically as ‘Babylon’ has its true spiritual condition exposed. It prided itself as a ‘holy’ city (note how this great city is referred to Revelation 11:8). It was a city where much worship was transacted. But it is wrong worship for it focuses on the Beast introduced in Revelation 13:1. To participate in this idolatry, worshipers had to initially fool themselves that were actually worshiping the God of Abraham. They would wear the prescribed mark on their hands or between the “frontlets of their eyes” to look like they were worshiping the actual God of their ancestors. John urged his original readers to endure and ‘keep’ the commandments of Christ (vs 12). Today, we need believers who can similarly endure. Following Christ is rarely a sprint and nearly always more akin to a marathon. It’s not the appearance of worship which constitutes worship - but the expression of actual surrender and devotion to God. After the Old Covenant and its elements were done away with, those who died as faithful servants of God no longer went to the holding place of the dead but could now enjoy the blessing of entering fully into the Lord’s presence. Not only will those who die in the Lord enter in their rest, they will enter their eternal reward. Endurance in this life has eternal dividends! And who was more qualified to urge for Christian endurance than John? Today there seems to be too few who are qualified to urge fellow believers to endure. Perhaps one day you might be one? The journey to endurance starts where John started this section: Fear God, give Him glory! [Rev. 14:1] ¶ Then I looked, and here was the Lamb standing on Mount Zion, and with him were one hundred and forty-four thousand, who had his name and his Father’s name written on their foreheads. [Rev. 14:2] I also heard a sound coming out of heaven like the sound of many waters and like the sound of loud thunder. Now the sound I heard was like that made by harpists playing their harps, [Rev. 14:3] and they were singing a new song before the throne and before the four living creatures and the elders. No one was able to learn the song except the one hundred and forty-four thousand who had been redeemed from the earth. [Rev. 14:4] ¶ These are the ones who have not defiled themselves with women, for they are virgins. These are the ones who follow the Lamb wherever he goes. These were redeemed from humanity as firstfruits to God and to the Lamb, [Rev. 14:5] and no lie was found on their lips; they are blameless. Throughout history no one has inspired more music, art or literature than Jesus Christ. And of those who have been creatively inspired by Christ none have been so inspired or so creative than those who have been redeemed by Christ! The 144,000 is a number that represents the redeemed. They are granted access to the presence of the One seated on the Throne of the Universe. The sound emanating from the Throne was a symphony of sublimely glorious music. Deep bass sounds so pure they sounded like loud thunder. High frequency tones which sounded like harps. And singing so heart-felt, that their deep gratitude to the One who had redeemed them was profoundly obvious. The lives of devotion, chastity and sacrifice which seemed so costly during their sojourn on earth, now seemed an infinitely small price to have paid compared to the wondrous ecstasy and consummate joy they were now basking in. As you draw closer to Christ don’t be surprised if you become increasingly creative and new songs arise in your soul. Proximity to the presence of God is the source of all true genuine artistic creativity. Those who had died for Christ had not died in vain. They had followed the Lamb even to their deaths. Their deaths were avoidable - if they had only denied Christ, but “no lie was found in their mouth.” I once asked the General Manager of one of Australia’s largest companies why he was so successful at recruiting quality staff. He said that he hired on the basis of character first and competency third. In the interviews he would ask prospective employees a question: “Tell me about a time you paid a high price for doing the right thing.” As I pondered this question I realised that every Christian would be able to answer this question many times over because following Christ comes at a high price in a world devoid of character that more often than not rewards compromise and ridicules those who do right. Were martyrs a sign of the Church’s doom? These original martyrs became the reason the Church survived! Tertullian wrote, “the blood of martyrs is the seed of the Church.” John describes them as “firstfruits”. Today we are the beneficiaries of their faithfulness. Hopefully in centuries to come future generations will be the beneficiaries of ours. [Rev. 13:1] ¶ Then I saw a beast coming up out of the sea. It had ten horns and seven heads, and on its horns were ten diadem crowns, and on its heads a blasphemous name. [Rev. 13:2] Now the beast that I saw was like a leopard, but its feet were like a bear’s, and its mouth was like a lion’s mouth. The dragon gave the beast his power, his throne, and great authority to rule. [Rev. 13:3] One of the beast’s heads appeared to have been killed, but the lethal wound had been healed. And the whole world followed the beast in amazement; [Rev. 13:4] they worshiped the dragon because he had given ruling authority to the beast, and they worshiped the beast too, saying: “Who is like the beast?” and “Who is able to make war against him?” [Rev. 13:5] The beast was given a mouth speaking proud words and blasphemies, and he was permitted to exercise ruling authority for forty-two months. [Rev. 13:6] So the beast opened his mouth to blaspheme against God—to blaspheme both his name and his dwelling place, that is, those who dwell in heaven. [Rev. 13:7] The beast was permitted to go to war against the saints and conquer them. He was given ruling authority over every tribe, people, language, and nation, [Rev. 13:8] and all those who live on the earth will worship the beast, everyone whose name has not been written since the foundation of the world in the book of life belonging to the Lamb who was killed. [Rev. 13:9] If anyone has an ear, he had better listen! [Rev. 13:10] If anyone is meant for captivity, into captivity he will go. If anyone is to be killed by the sword, then by the sword he must be killed. ¶ This requires steadfast endurance and faith from the saints. [Rev. 13:11] ¶ Then I saw another beast coming up from the earth. He had two horns like a lamb, but was speaking like a dragon. [Rev. 13:12] He exercised all the ruling authority of the first beast on his behalf, and made the earth and those who inhabit it worship the first beast, the one whose lethal wound had been healed. [Rev. 13:13] He performed momentous signs, even making fire come down from heaven in front of people [Rev. 13:14] and, by the signs he was permitted to perform on behalf of the beast, he deceived those who live on the earth. He told those who live on the earth to make an image to the beast who had been wounded by the sword, but still lived. This is perhaps the most contentious chapter in this Revelation. More speculation has been generated over the identity of this mysterious character known as “the beast” than any other mysterious figure in human history. With so much attention, it strikes me as odd that several obvious things are overlooked. Firstly, there are two beasts identified in this chapter. A ‘beast’ was an Old Testament expression for a godless ruler. The prophet Daniel establishes this. ‘From across the sea’ signifies that this particular godless ruler will not be from the (Promised) ‘Land’ (Israel). One of these two beasts is from across the sea. But the other beast is from the Land (Greek word, “ge”). Secondly, John states that with “wisdom” his readers could identify who the first beast is using the common practice of gematria (where letters have numerical value). It’s difficult to see how anyone in the first century, even with infinite wisdom, could know of any identity in the 21st Century! This makes me wonder about how people can overlook relatively obvious things, such as these two points I have just made. But perhaps this is how some people generally read the Bible - straining at minutiae details while missing the large and obvious. To read the Book of Revelation as if it were a prognosticator’s tea-cup filled with mysterious tea-leaves predictions about our future is perhaps to miss the grandest point that this Book is making: Jesus Christ is Lord. Beasts may rant and oppose, but Christ will be vindicated! Those who oppose Christ, do so at their peril. Fighting against God has a certain inevitability about it. Fighting against His children has a certain and sure consequence to it! The original readers benefited from this truth. Modern readers can as well. 1Cor. 1:18 ¶ For the word of the cross is folly to those who are perishing, but to us who are being saved it is the power of God. Jesus Christ miraculously transforms lives. This transformation - becoming a Christian - is calledconversion. It is no mere change of outlook. It is the power of God at work in a person's heart and life. This power transforms bitter people into sweet people. This power enables people to forgive. This power gives hope to the hopeless. This power has a Name. "Who do men say that I am?" asked Christ of His disciples (Matt. 16). That question rings down through the ages as great minds and great souls make fools of themselves with their woefully inadequate grasp of Christ's true identity. He was a man - but merely a man. He was no mere great teacher. He was no mere prophet. He was no mere martyr. He was God in the flesh (John 1). He was the eternal Son of God (John 3:16). He was the One who claimed to be Messiah that both Abraham and Isaiah looked forward to (John 8). He was born sinless (John 8:46). He was The Saviour of all people - especially those who believe. Jesus Christ is the Power of God. Jesus Christ could heal the sick, raise the dead, set free the oppressed, deliver those held captive by self-obsession, confound the wise, satisfy the hungry, quench the thirst of the dry, and restore the once banished. Jesus Christ is the Power of God. God's Power can set you free today. God's Power can make you whole. God's Power can rescue you. Jesus Christ is God's Power. And this Power is transmitted through the preaching of the Gospel (Romans 1:16). Our faith in Christ does not reast on paltry human wisdom - it rests securely on the Power of God presented in the Gospel (1Cor. 2:5- "so that your faith might not rest in the wisdom of men but in the power of God"). The Gospel preached is no mere lecture. It is no mere talk. The Holy Spirit through the preaching of the Gospel is able to minister the Power of God to the weak, the weary, the broken, the hurting, the empty, the lost, the confused. Thus, it is only by the Power of God that living the Christian life is even possible. For he was crucified in weakness, but lives by the power of God. The world ridicules the Power of God. Yet the Power of God like an immovable mountain of granite stands firm in its witness to the world that it stands accused of deep idolatry and dire need of a Saviour. The Power of God does more than diagnose the natural human condition as utterly blind, arrogant and treasonous - it provides the solution to this eternally damnable condition: The Gospel of Jesus Christ. The message of the Gospel, that we are all sinners in need of a Saviour, is "foolishness to those who are perishing". But to us who have yielded to Christ and accepted His diagnosis of our condition and then received His treatment - the Cross of Christ - it the Power of God to live radically transformed lives and to have our deepest needs satisfied. I was 15 when I first began to experience the Power of God. Over thirty years later I am still experiencing it. I invite you to yield to the Power of God. Rom. 16:25-27 ¶ Now to him who is able to strengthen you according to my gospel and the preaching of Jesus Christ, according to the revelation of the mystery that was kept secret for long ages but has now been disclosed and through the prophetic writings has been made known to all nations, according to the command of the eternal God, to bring about the obedience of faith— to the only wise God be glory forevermore through Jesus Christ! Amen.